I really hate the word “world beers” , but it does apply describe those monopoly beers from around the world. We try to keep a low stock, hardly paying them any interest – but people do like them. At the risk of Ratnerising them, I guess they do have a home. Our beermerchants.com section on world beers is a perfect selection of those beers available from around the world. These are beers you may be able to sample sitting in the comfort of your own home or in a pub, club or bar. Alternatively, there are beers you can sample when you visiting particular parts of the world. The world literally is your oyster when it comes to beers. You can select something novel like an African beer or a Chinese beer. On the other hand, you may wish to opt for the right beer with your chicken tikka masala. We’re beer nuts, so do check out our range of mixed cases – whether it is a blond lager you prefer or a darker beer. Whether it is a beer that tastes of liquorice, toffee or coffee, there is something here to suit any taste and choice. Saw this had to post! Delirium Tremens beer in the UK! Delirium Tremens was launched on 26 December 1989. The beer uses three different yeasts and is packaged in a bottle that is painted to resemble cologne ceramics. The label exemplifies different phases of the production of “Delirium Tremens” and that the “Pink Elephant” was up and ready to conquer the world. In 1992, the “Confrerie van de Roze Olifant” (Brotherhood of the Pink Elephant) was founded to promote Delirium Tremens and other beers of Melle. 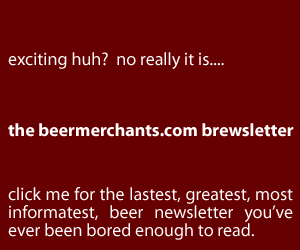 Crazy, kitch, niche… this has become really popular on beer to buy Beermerchants.com, – can anyone suggest why? 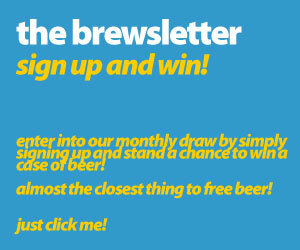 Check out the new Delirum Beer website - meet Mr DeLaet. Leffe Blond, in the UK! Leffe is a beer brand owned by InBev Belgium, the European operating arm of the global Anheuser–Busch InBev brewery giant. There are several beers in the range, and they are marketed as Abbey beers. They are brewed in large quantities and are widely distributed. The abbey Notre Dame de Leffe was founded in 1152 on the Meuse River in the province of Namur in southern Belgium. Like many monasteries across Europe, the Premonstratensian (Norbertine) canons of the abbey brewed ale. Using knowledge passed from generation to generation and ingredients found in the wild near the abbey, the canons developed a unique ale, brewed only at the abbey. The abbey itself has known hard times and has been damaged by both natural and human circumstances over the years. In 1460 the abbey was destroyed by a flood, a fire swept through the settlement in 1466, in 1735 billeted troops damaged the brewery, and in 1794 the outbreak of the French Revolution resulted in the abbey being deserted and the brewery destroyed. The canons returned in 1902. In 1952, the production of beer was continued after a partnership with the Flemish based Lootvoet brewery in Overijse. This brewery was later bought by the international beer company Interbrew (now InBev). Leffe was then brewed in Mont-Saint-Guibert until Interbrew closed that brewery. 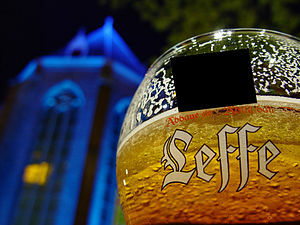 Now all Leffe brands are brewed at the Stella Artois brewery in Leuven. The 1952 agreement between the Leffe abbey and a commercial brewery is said to have been the first of its kind (royalties continue to be paid to the abbey). Today, Belgium’s beer category called “abbey” is thriving – with several beers brewed under similar licenses to Leffe as well as abbey beers named after abbey ruins or abbeys that no longer exist. The Affligem and Grimbergen beers are a part of Heineken’s international portfolio. Other notable abbey brands include Corsendonk. The Leffe museum in the town of Dinant is open to visitors. ow shared and enjoyed by consumers in more than 60 countries worldwide. While sharing a Leffe, consumers savor true moments of indulgence. Designed for real beer lovers, Leffe is to be savored when there is time to relax and enjoy the deep, complex flavors wrought from a centuries-old brewing tradition. The brand is available in four varieties: Blonde, Brown, Triple, and Radieuse/Vieille Cuvée. Each of these unique brews is made by craftsmen who rely on hundreds of years of brewing competence and tradition to make a drink that offers a perfect moment of indulgence. Each one has its own character – treats to enjoy for different occasions. Leffe Brown is substantially more robust than Leffe Blonde. This rich variety combines the rich aroma of roasted caramel with a slightly sweet finish. It is an excellent accompaniment to hearty, sweet and savory types of cuisine. Leffe Triple is a stronger beer with a full aftertaste of spicy coriander and orange. Leffe Triple is an excellent replacement for any robust or full-flavored white wine. Leffe Radieuse/Vieille Cuvée combines a very complex taste pallet and the fruity flavors of banana, citrus fruit, coriander and cloves, with a mild sharpness. 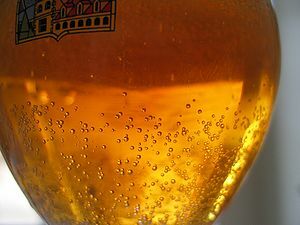 It is a beer to drink instead of complex wines, with sophisticated and complex cuisines. effe makes the extraordinary, just perfect, bringing people together to share, and savor special moments. The Leffe family of beers are rich and full bodied. Made from only the highest quality ingredients, they provide a recipe for rich moments in life that deserve to be savored. Leffe’s unique brewing heritage is now shared and enjoyed by consumers in more than 60 countries worldwide. A dry, fruity, lightly spiced beer, full and creamy – a perfect balance of strength and subtlety. 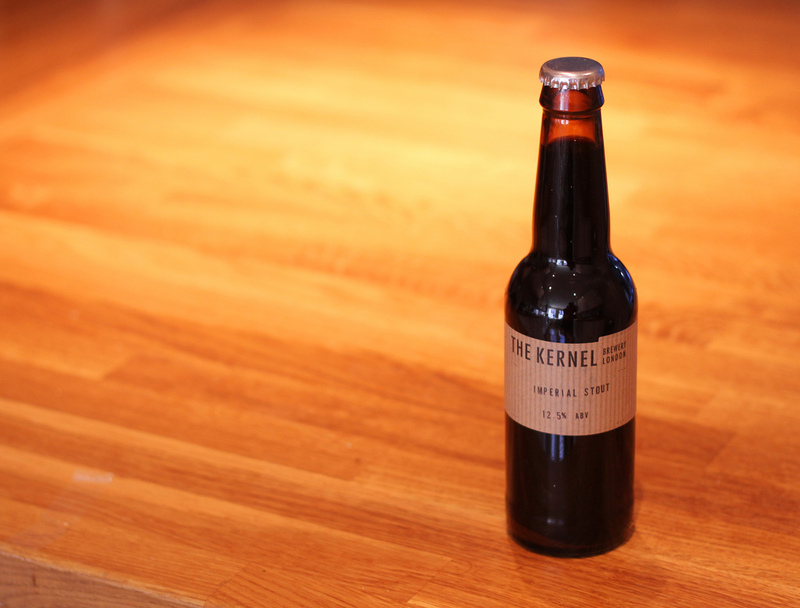 The brand has a delicate and light, malty aroma and a subtle, sweet finish. Leffe Blonde is a perfect accompaniment to light, everyday meals. I know many bar owners read this blog, perhaps if possible you could look into the idea of free wifi. 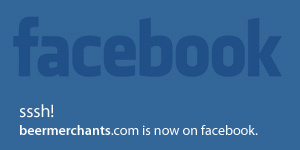 My much celebrated local hostelry has taken the leap and believe me, it’s bloody wonderful. I know being one of those remote working types, the access to decent ale, a coffee and fast reliable wifi – might make more a better office scape. It’s easy to find general information on the wonderful city of Brugge, all of 80 miles from where I sit right now, save for a bit of water in the middle. The 3rd year of the Greenwich Beer and Jazz Festival is back with a bang and some of the best names from the world of Jazz with a few large casks of beer thrown in for good measure! Organisers are very excited with the line up this year which includes acts Fun Lovin’ Criminals, Spandau Ballet’s Tony Hadley with his Swing Band Brand New Heaves, Incognito supported by Omar, and James Taylor Quartet who will be joined by Snowboy and the Latin Section.